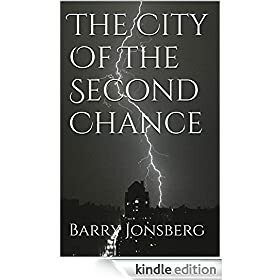 From multi-award winning author, Barry Jonsberg, a new book for adults, exclusively on Amazon. Alex Sangster is an English teacher in the throes of a messy divorce. His life in turmoil, he decides to travel to Darwin in the Top End of Australia. Why not? On the way, he and his dog pick up a bloke called Carol King. Pandora has her suspicions, but that is not the same as the truth. If she is to prove The School is a lie, then the answers may be found both within its walls, but also in a world that has reportedly died. Candice Phee isn't a typical twelve-year old girl. She has more than her fair share of quirks, but she also has the very best of intentions and an unwavering determination to make sure everyone around her is happy - which is no easy feat when dealing with a pet fish with an identity crisis, a friend who believes he came from another dimension, an age-old family feud, and a sick mom. But she is on a mission. Her methods might be unique, but Candice will do whatever it takes to restore order to her world and make sure everyone is is absolutely, categorically happy again. Leah Cartwright is ninety-three years old. She's feisty, tartly amusing and senses that time is slipping away. Carly is sixteen, bold… and yet hesitant… and eager to interview Leah for her local history project. Slowly a relationship blossoms between this unlikely pair, as Leah revisits her past to share with Carly her unique coming-of-age story. Holly Holley is so average it hurts ... until her cousin Cassie comes to stay, and Demi Larson takes her under her wing and makes life a whole lot more interesting. A compelling novel about a powerful relationship between a troubled teenager and his grandfather, set in the Tasmanian Wilderness. A fresh, funny and engaging new voice in young adult books. Laugh-out-loud humour with a strong beating heart and a sting in the tail. An intense, confronting, unforgettable novel to challenge our assumptions about bullying, coping strategies and mental health. Part quirky journal, part detective fiction, this wild and witty novel is a laugh-out-loud comedy about two unlikely friends who are drawn into a dramatic series of events through their mutual mistrust of their new English teacher. A free trip to the Northern Territory! Sounds good, thinks Marcus ('Mucus' to his sister Rose). But when his best friend Dylan joins the family holiday, mayhem is not far away. What's an eleven-year-old boy to do when an ugly dog called Blacky appears on his bed and tells him he has been given the mission to rescue God? This is a 'fast and funny book' from CBCA-shortlisted author Barry Jonsberg.